We were looking at tree buds. 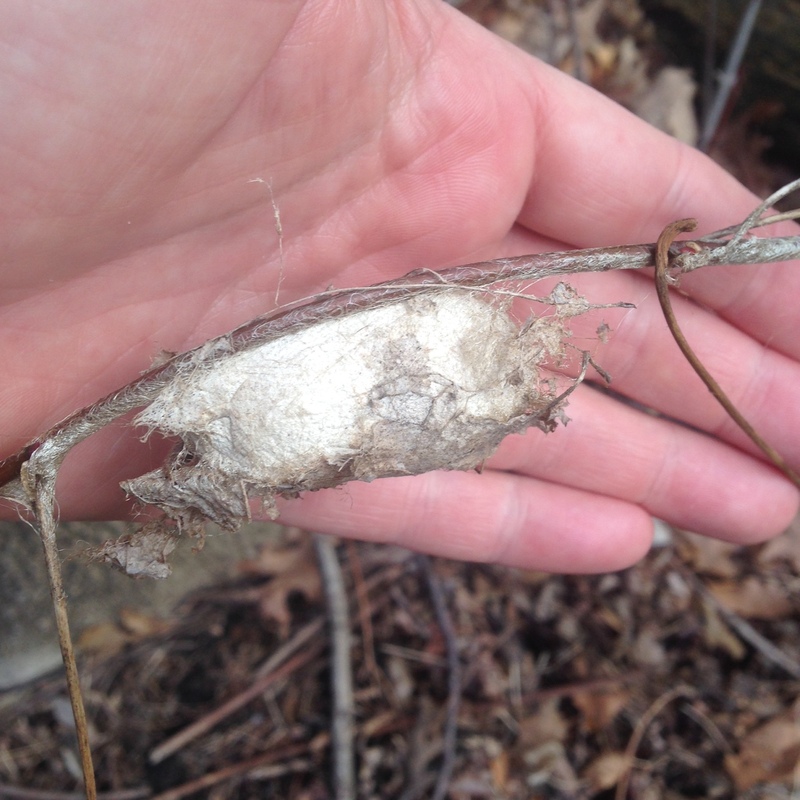 This big cocoon with remnants of leaf-covering was just hanging there. One of the giant moths of the family Saturniidae made this, I think. Will it make it? Has it already be taken over by parasitic wasps? Overhead, a trio of Red-tailed Hawks explored their own futures. It’s really up to them in too many ways. They have to be convinced that lies, more lies, and damned lies are antithetical to democracy and civilization, not to mention their own damn-fool asses.